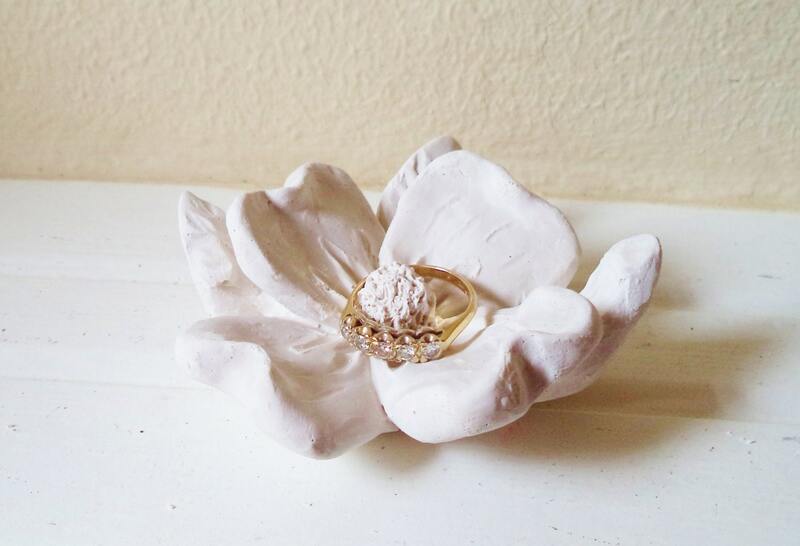 My Lotus and Magnolia flower ring holders have been so popular, that I am creating an entire flower ring dish collection! 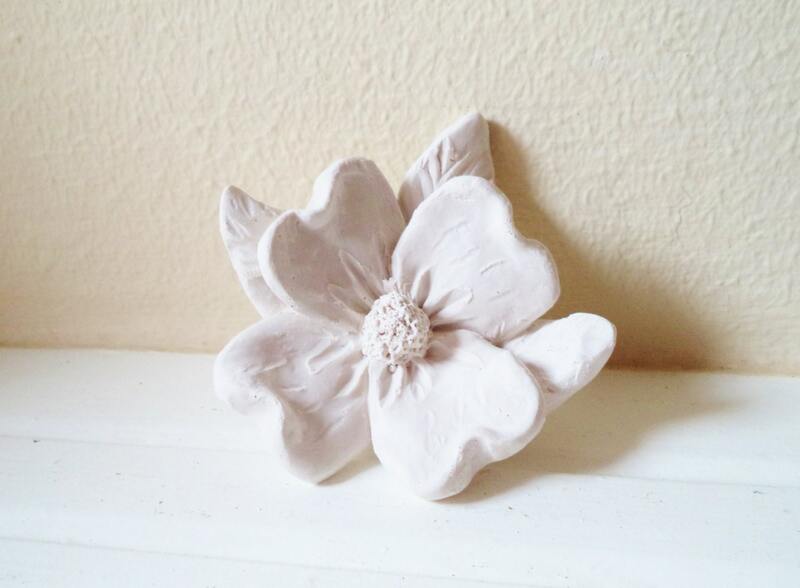 This is my Dogwood blossom! 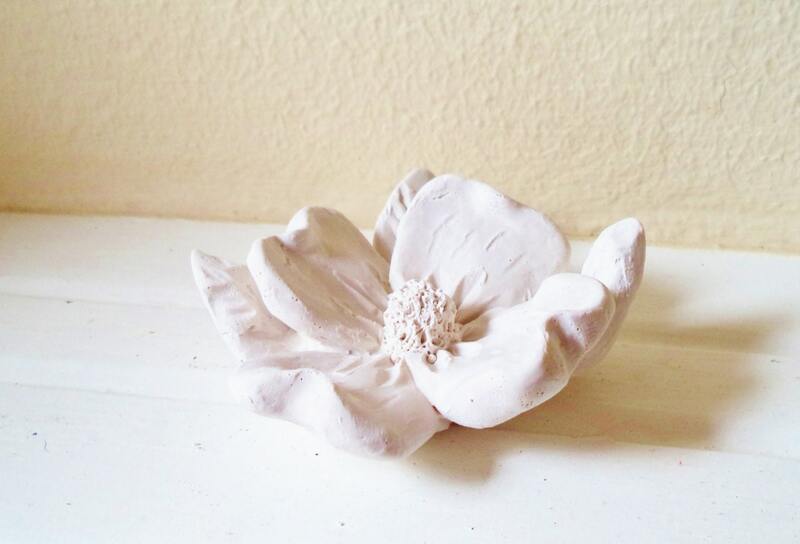 The petals curve up slightly and around the stamen to create a sweet area to nestle your treasures. 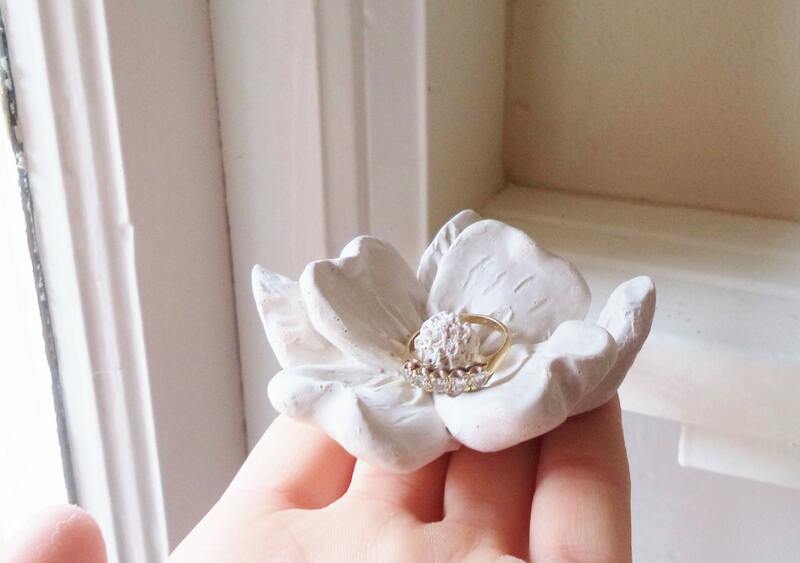 Also see this in my stone flower section, wall hanging version. Super cute. Looks like decoration without my ring in it, but is functional for keeping my ring in one place.